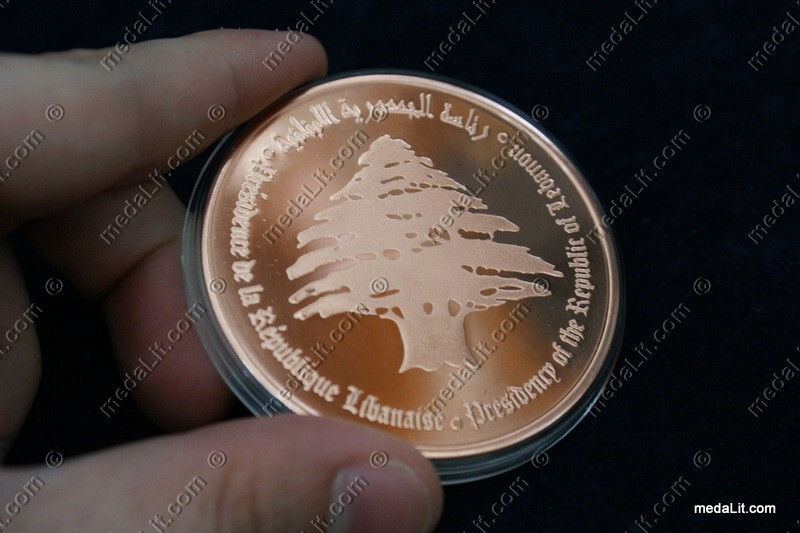 Minimum Order Quantity (MOQ) for custom-made semi-proof medals is 100. Absi Semi-Proof or Proof-Like Medals are luxurious, they posses the highest-quality finish and are made by minting. Their impressions are frosted and shiny with minor imperfections. Absi Semi-Proof medals feature a brilliant (mirror-like) background (medal field), while the raised areas (the relief) are usually frosted. Absi semi-proof medals have either the natural reddish color of copper or plated with either 24k gold or silver. Read about the process of minting.